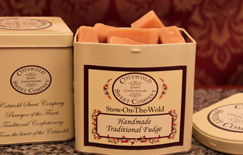 Cotswold fudge, handmade by Cotswold Sweet Company. 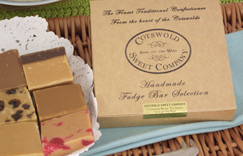 Our luxury fudge is boiled in traditional copper pans, resulting in a rich creamy flavour, and a smooth melt in the mouth texture. 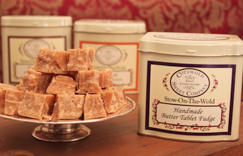 Delicious handmade fudge. 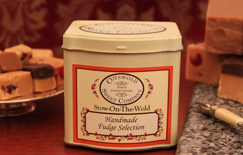 Choose a flavour from our selection or select two choices for a mixed bag. You can also choose to have your selection gift wrapped if you wish.